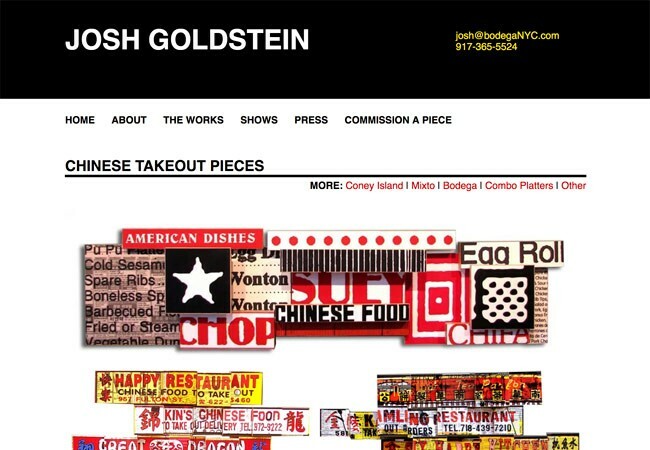 Josh Goldstein is a Brooklyn collage artist. In 2009, Target commissioned Goldstein to conceive three billboards in Times Square totaling 6000 square feet. He was previously represented by JLA Studios in Brooklyn, and has also been represented by Galerie Geraldine Zberro in Paris. His multi-paneled collages hang at the corporate headquarters of Vitamin Water and Credit Suisse First Boston, in the main branch of the Bronx Public Library, and at WNYC’s Greene Space, as well as numerous private collections throughout the United States, South America, and Europe. Services performed on this site include: complete customization of Wonderflux using Jetpack Tiled Gallery.